The following post contains affiliate links. What does that mean Christina? I’m glad you asked. It means that I will receive compensation if you purchase items through my links. Why is this a good thing? It’s good for you because I promise to only recommend to you things that I have tried and love. It’s good for me because I get some money to keep this blog going. Yes, there are expenses with blogging. So………….I guess that makes the affiliate links good for you as well (if you want to keep reading Juggling Real Food and Real Life that is). Welcome back everyone! It’s always nice to see you. We have been challenging ourselves with real food weekly goals. Many of you made The Real Food Experience your New Year’s Resolution. It’s been fun and challenging. We are starting to feel better as we have finally put nutrition at the top of our priority list. Still…………there are lots of folks who have not been able to make the change to real food yet. Why is that? I have some thoughts and hopefully, I have some solutions for you as well. The Real Food Experience focused on real food. Now, it’s time to put some focus on Juggling. I’ve decided to start a new series called “No More Excuses.” This series is not intended to be preachy. In fact, it should be quite the opposite. What I want to share with you are MY real world excuses. These are all of the excuses I used to explain why I was eating fast food 3 times a day. No joke! I was eating fast food 3 times a day…………sometimes more. And if I actually decided to cook for my family, it was always highly processed foods with very little fruits and vegetables. Excuse #1 : I don’t have enough time. I’m too busy! This is a huge excuse for so many of us. We are busy wives and mothers who are trying to keep up with all of the demands that are put on us. We take care of babies, work, go to school, shuttle the kids to activities, and so much more. Where is the time to make real food? 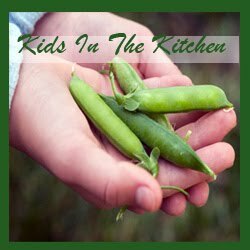 There is no denying that meal planning, label reading, chopping, and cooking takes more time than a quick run through the drive-through or tossing some nuggets on a cookie sheet and popping them in the oven. I’m here to say that even with the busiest schedules, there IS time. I have not been to a fast food restaurant (other than for black coffee) in a long time. It will be two years in June. This from the woman who was convinced that there was no time for cooking. The first step is to simply commit to making the change. Take it one meal at a time and one day at a time. It takes practice and there will be mistakes. So what! Keep going. Every real food meal that you feed your family will make them healthier. Perfection is hard to achieve so set reasonable goals. My family chose 80% as our goal. We attempt to eat real food 80% of the time. As time goes on……..we are closer to 90%, but I am very happy and feel great when we eat real 80% of the time. When I first started my real food journey, I had very few cooking supplies. One thing I did have was a slow cooker. I received 2 as wedding presents many years earlier and used them to make chili on occasion. 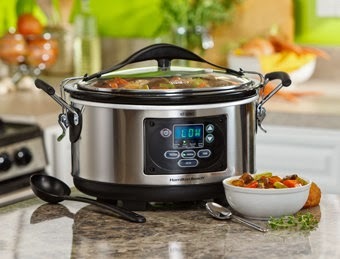 I found that when I have a half hour or less to prepare and eat dinner before running to Girl Scouts, baseball practice, band concerts, or fill in your evening dilemma here………….my slow cooker is the best solution. I work in an insurance office from 9 – 5 and then have to go pick up the kids from school. There is not a lot of time to cook. My slow cooker is perfect because it cooks all day and when I come home, there is a hot cooked meal ready to go for my family. It’s like having someone cook for me. I love that! I quickly decided that a programmable slow cooker would be really awesome! The Hamilton Beach Set and Forget (pictured above) is my cooking best friend. I even love the spoon that came with it! This slow cooker turns simple real food ingredients into scrumptious meals for my family. Thanks for the programmable feature, my food isn’t overcooked if I run late getting home. It goes camping with us. It goes to pot luck dinners with us. Oh yeah baby……….it does all of this for us! You should see how jealous the ladies at the soup social at church are when they see how the lid locks down. No spilling! Each of these meals is one more home-cooked meal that is prepared with the best real food ingredients that I can find. Come on……..make yesterday the last day you used this excuse. There isn’t a lot of time in our busy schedules, but there is time for real food if you make it a priority. My friend told me just last week that hearing me talk about my schedule, makes her head spin. That may be true, but we are still eating real. Not always fancy, but always real. 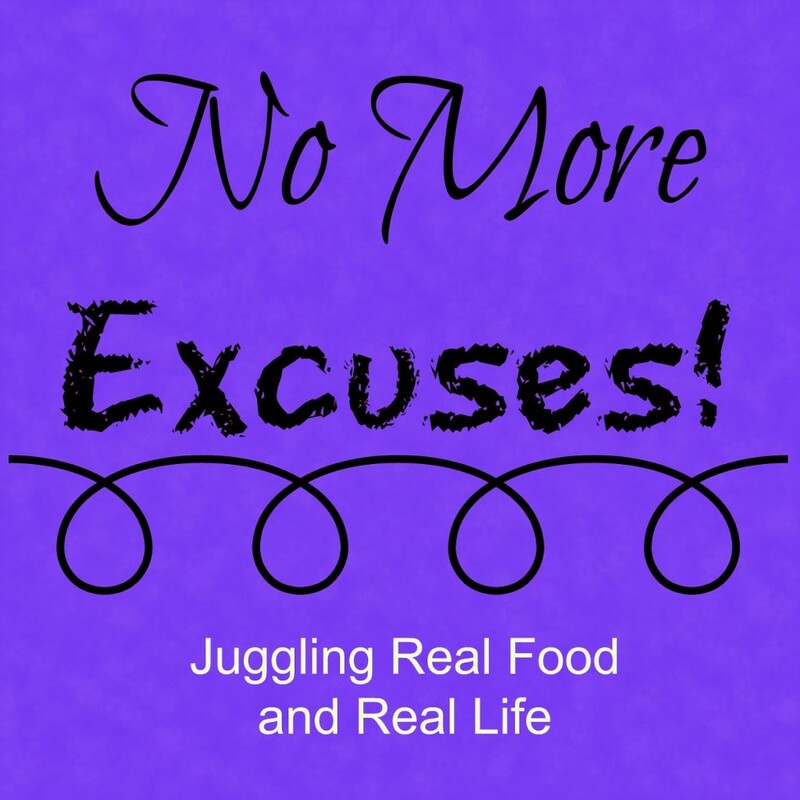 Are you still using not enough time to as an excuse for eating fast and processed food? What are some of your tricks for making time for real food? What is the quickest meal you make? I’ve got lots more tips coming to help you juggle it all. You just need to provide the committment to make eating real food a priority for your family. Don’t miss a single post when you subscribe by email. You can enter your email address in the sidebar on the right. 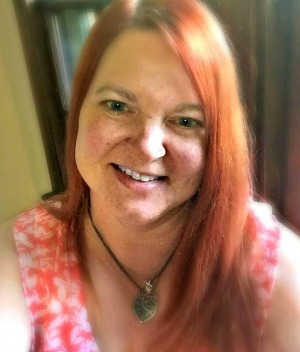 I am active on social media so you can often find me there if you have any questions or if you just want to join the fun. Welcome Karen! It's so nice to have new friends visit. I hope you come back to visit often. I had excuses for years and years until my body told me I couldn't make excuses any longer. Eating real food is tough at first, but it gets easier with time. I think you are so wonderful to share all of this with the world, Christina. You're right! We have to make time. I love that you mentioned how you can use the slow cooker in a real food experience. It compliments my post about just making sure you use real ingredients and getting practice over time learning how to stay clear of the processed stuff that is really harming us all in the long run. Thanks for sharing this with us at Countdown in Style! Don't forget to stop by Friday to see if you are featured! Thanks Brittnei! My slow cooker actually started me on my real food journey. It is the best tool I've found to help me keep up with my family's busy schedule and also get real food on the table. You are so right too……it does take practice to dump the processed stuff, but it is possible to make the change. If you would have asked me 2 years ago……my answer would be no way. No how! I'm heading to the golden arches. Oh, how things can change if you only want them to. I love your planning and inspiration. I started this week not buying any snacks, but making them. I even got my husband to go along. I see why that's such an important change. I could only make 11. They either will all be gone tomorrow or we'll have them a lot longer than we would have store bought cookies. Not too sweet and I spent time making them. I don't want them to disappear! LOL! Thanks for keeping me motivated. I have stopped making excuses with my working out and now I have to stop with my eating! Thanks for linking up to Countdown in Style.